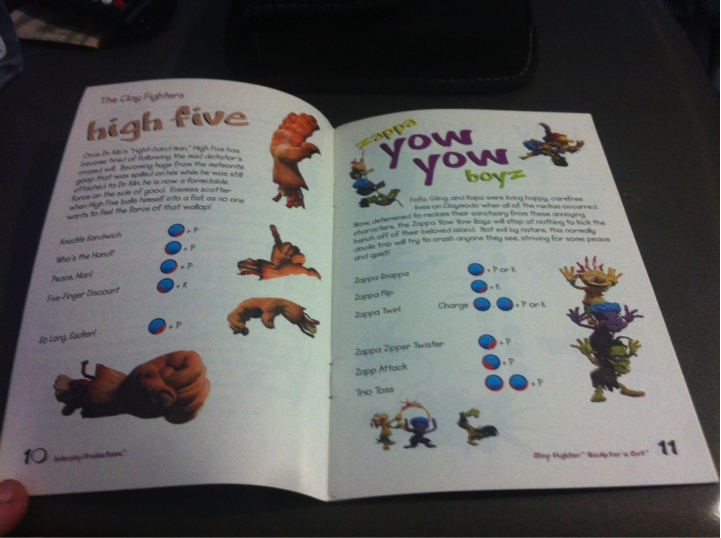 “Clayfighter: Sculptor’s Cut” game manuals sell for more than $1,000 to collectors, and the prices are on the increase. I’ve reported on a number of breathtaking auction closes for exceptionally rare video-game paraphernalia and massive collections, but I think this fairly modest $1,377 item surprises me the most. The jackpot find this time is nothing more than the manual for a 1998 Nintendo 64 game called “Clayfighter: Sculptor’s Cut” in mint condition. A previously sold copy with some wear and tear went for around $1,100. I’ve seen video-game manuals sell for eyebrow-raising prices before, but this is the most I believe has been paid for one to date. It’s not uncommon for video-game collectors to seek out boxes, inserts and other ephemera to complete copies of games, but I’m quite shocked that someone out there would value something like this so highly. There aren’t actually 63 prequels to the game; the name is a comical reference to the common nomenclature of appending “64” to titles for Nintendo’s then-current console. “The Sculptor’s Cut” was released apparently because the developers were rushed and could not complete certain features including four characters: Lady Liberty, Zappa Yow Yow Boyz, High Five and Lockjaw Pooch. These days, post-release features would just be issued via paid downloadable content or online updates, but back then you had to buy a whole new cartridge to get the update. The catch is that “Sculptor’s Cut” never went to retail. It was exclusively available as rental through Blockbuster Video. Reports say only 20,000 copies were manufactured, and if you’ve ever seen a video game after it’s been rented for a year or two, it’s not hard to imagine the condition that most of those 20,000 copies would be in today. Used copies would have been sold at Blockbuster stores as part of their weeding process to get rid of slow-moving inventory, often without the box, inserts or this exceptionally valuable manual. 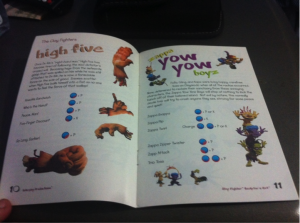 The “Clayfighter: Sculptor’s Cut” manual offered tips and tricks for character moves. Games today don’t offer such paper-based ephemera. The game itself is quite valuable. Complete copies have fetched more than $500 at auction, while the cartridge alone routinely sells for well more than $100. As recently as last year, a complete copy sold for $960, suggesting that its value may be on the rise. And let’s not forget that this manual, which is not printed on gold-leaf paper nor is it signed by Lockjaw Pooch, is apparently worth more than $1,000. I find the valuation of paper ephemera from video games to be somewhat bittersweet because it casts into sharp relief how video games are published and packaged today. Back in the 1980s and 1990s, you’d often get a booklet with your game that featured artwork, instructions, tips, comics, maps and other content. Or you’d get big poster maps or facsimiles of magic tomes or other books from the game itself. The paper matter was a way to increase the player’s immersion and engagement with the fiction of video games, and in the case of fighting games like “Clayfighter,” they often offered very useful guides to executing the various fighting techniques and moves of each character. But these days, games are either downloaded and—if you’re lucky—come with a digital document or they’re shipped in DVD cases with no documentation whatsoever. The big paper maps you’d get that laid out whatever fantasy empire you’d be exploring in visible, physical detail are no more. Any kind of lore or supplemental fiction is all online. 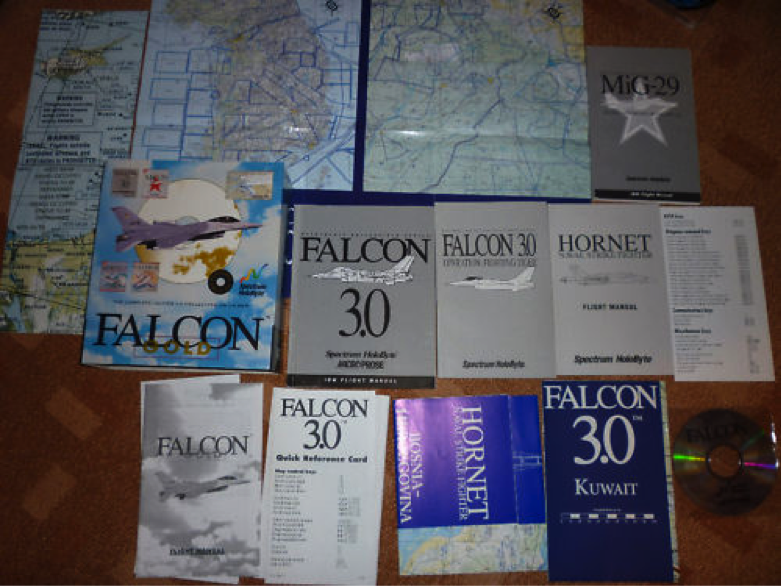 Gone are the days when games included piles of additional reading material, like “Falcon 3.0,” which had background information on par with Jane’s Aircraft manuals. 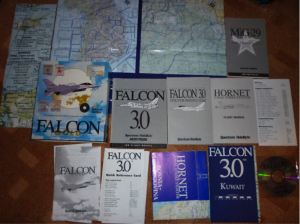 I remember getting a copy of the flight simulator “Falcon 3.0” sometime around 1991 or 1992, and it came with a huge flight manual packed with game information, military history, facts about every plane in the game and as much detail as a “Jane’s Aircraft Recognition Guide.” It was ridiculous—and ridiculously impressive. Sadly, it’s only worth a couple of bucks these days. 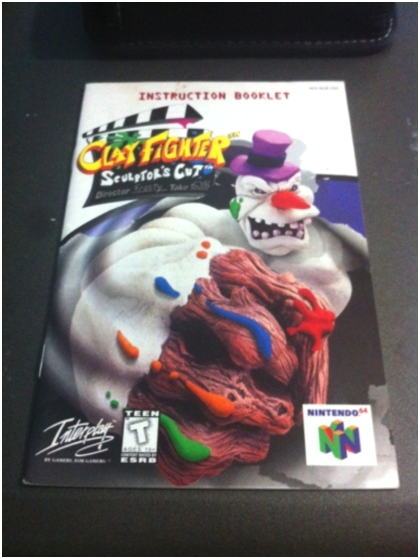 I think the high value of the “Clayfighter” manual to collectors really shows the worth of this vanished aspect of video gaming to those who are preserving the heritage and history of the medium. There’s definitely a nostalgia factor involved, too, as undoubtedly kids in the 1980s and 1990s who grew up with games like the “Ultima” series on PC, the “The Legend of Zelda” and other classics remember the documentation that their favorite games came with. For my part, I remember reading video-game manuals over and over again—spell descriptions, legends and lore from the game world, character biographies, pictures of all the weapons and equipment in the game and so forth. Is all that worth $1,000 in a day and age where you could just as easily grab a scanned PDF off of the internet to see all of this stuff again? I don’t know, but for folks looking to put together complete copies of “Clayfighter: Sculptor’s Cut,” it apparently is. There are undoubtedly other manuals out there with astronomical aftermarket values, and those for the rarest games are going to be the most valuable. Michael Barnes is a lifelong game player, collector and enthusiast. He has parlayed his passion for games into several successful ventures, including a retail hobby store, two popular gaming Websites, and 10 years of widely read commentary and criticism about both tabletop and video games. Are You Game for a Game of Thrones?